A few weeks ago I shared this project on Skip To My Lou for her Craft Camp series. It feels a bit out of my element when I do a kids’ craft. I just don’t do a lot of them. Want to know why? Because I am mother to 4 boys, all of whom are rarely interested in crafting the first place, and have the attention span of a gnat when we do try to sit down and craft something. The secret to crafting with my kids? A craft that takes all of 5 minutes and incorporates some of their personal treasures. 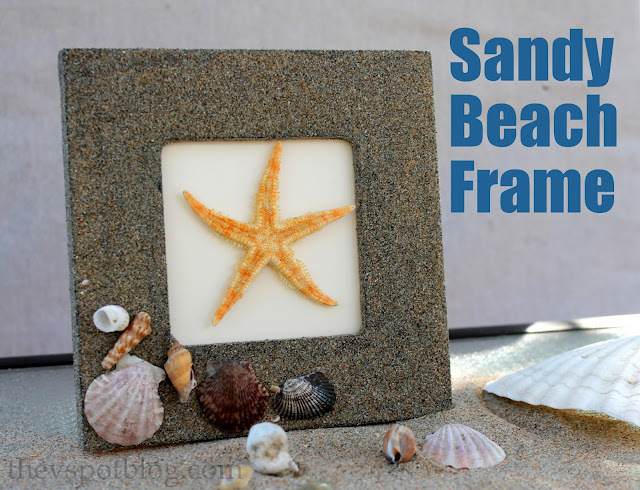 Grant and I made this Sandy Beach frame using sand from our local beach and sea shells he had collected. Remove the glass and backing from the frame and brush onto the frame, covering the top and sides completely. 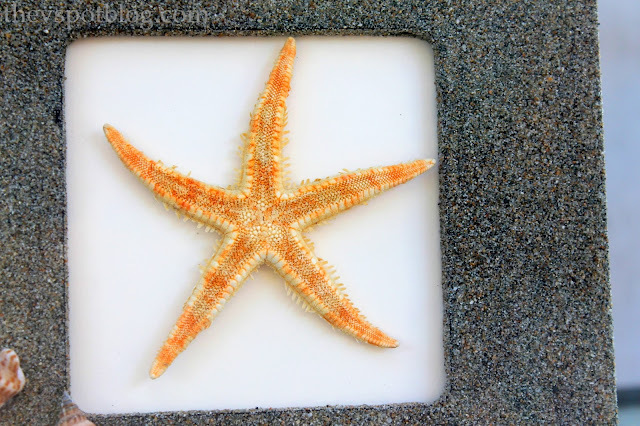 Once the frame is covered with a nice coat of glue, sprinkle sand all over it. Make sure you are working over a plate or newspaper to catch the sand. 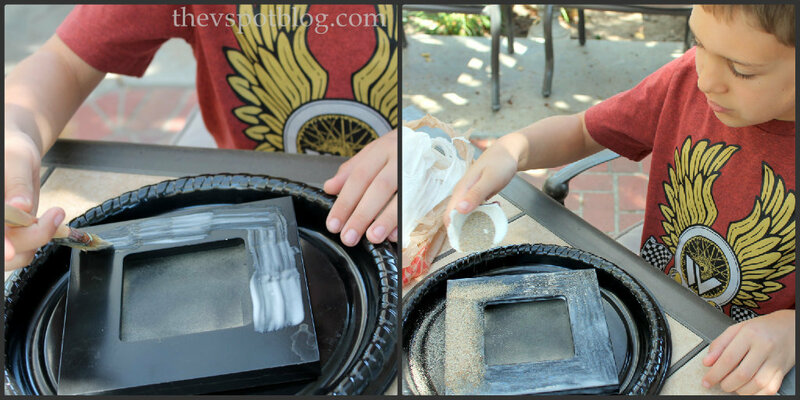 (Note: this is an excellent “outside” craft…) We wanted our Sandy Frame to look like wet sand when it was done, so we used a black frame. 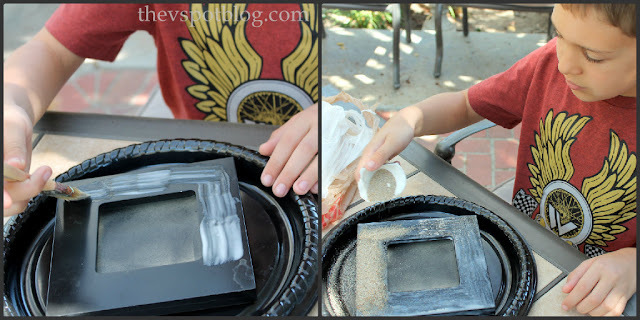 If you want it to look like dry sand, make sure you start with a white frame. You could either put a fun photo from your summer vacation or a treasure like this starfish. That’s it. Quick, easy, and even kids who have ants in their pants can do this one!